TONIK is a hospitality furniture brand wrapped around a full blown design statement that pushes beyond boundaries and transforms everyday spaces into funky slices of paradise that connect people. We’re also a designer collective and work with the best and brightest minds, including the uber-cool, industrial design-guru Karim Rashid. 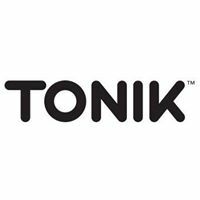 TONIK embodies the American spirit: we come from different backgrounds, we relish deep discussions of differing opinions that bring us closer together, we work hard with a can-do attitude, we care about being good stewards to our next generations, and we do it in comfort and style. So take a trip. Take a dip. Take a sip. The world is a lot more interesting with a splash of TONIK.